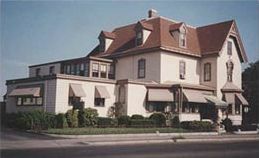 Carpenter-Jenks Funeral Home was founded in 1914 by the Reverend Hugh B. Carpenter a well- known clergyman and has continued to be operated by the Carpenter family through five generations. The Reverend Carpenter was Pastor of the Cranston Street-Roger Williams Baptist Church of Providence and a Colonel and Chaplain of the 118th Army Corps of Engineers. While he served in France during WWI his wife Caroline operated the Funeral Home. Their son Linn M. Carpenter (1902-1976) joined the family as the second generation. His sons, Linn M. Carpenter, Jr. and H. William Carpenter were the third generation to join the firm. Linn, Jr. was killed in 1951 while serving with the U. S. Marine Corps during the Korean Conflict. H. William Carpenter who was also serving in the Marine Corps returned to the business after the war until his retirement. Linn's son, Stephen, joined the firm in 1971, William's son, Craig joined the firm in 1983 and Stephen's step-son Chris joined the firm in 2005. In 1983 the present location in West Warwick was opened with an enlargement and major renovation completed in April 2000. As part of the funeral home the addition of the White Dove Crematory to the Facility was opened in October of 2006. The original facility was located in the capital city of Providence and closed in 1997.